Ben has a pet dragon called Gronk. 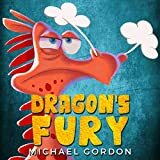 Dragon always gets angry when he doesn’t get what he wants, or when things don’t go his way. Gronk experiences the things that make him furious, but he also learns ways to deal with the anger–ways that won’t hurt others.